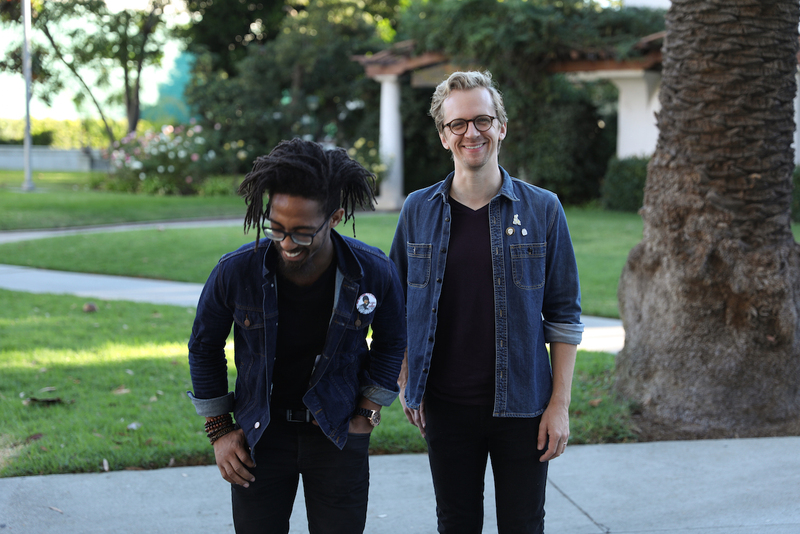 + Andre (left) and Michael (right) share a laugh before leaving on their trip upon discovering they’ve dressed alike. 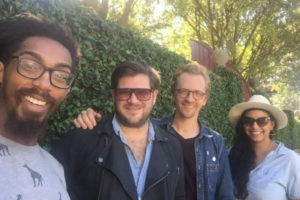 They took audio equipment to record their conversations on the road; listen to them reflect on race and hospitality, paired with photos they took with their phones, in the episodic story below. You can also click the links throughout to read original social media posts shared in October 2017 when their story unfolded in real time. When my fellow alum Andre Henry (MAT ’16) asked online if any white male friend would be willing to join him on his cross-country drive to move from Los Angeles to Orlando, Florida, I said yes. “It’s more likely we’ll be treated differently together than either of us will be treated alone,” he said. When I asked him if I could help with anything before we left, Andre asked me to pick up a “baby on board” sticker for his car. As an African American, he said, “we’re pulled over all the time, but we’ve learned this sticker or even empty baby seats help humanize us.” We’ve learned. I winced thinking of how that knowledge came to be, how it was passed around like a rule of thumb—a technique I’ve never had to use. “I haven’t had to think that much about how I’m perceived in the world—that seems like quite a mental load to me,” I said. “Yeah, that’s called racial stress, but you just get used to it, you know?” Andre said. It was the first conversation of dozens, beginning the gift of traveling with Andre: a weeklong chance to see up close what it’s like to walk through the world in his skin. “It’s hard to deny the different experiences we’re having when they’re happening so closely together,” he told me. Sure, we discussed race and theology and politics—we’re seminarians, after all—but the real education came when we were treated differently in gas stations and fast food restaurants, when Andre’s anxiety over a cop driving by would spill over into my seat, and even when we compared the music of our childhood (listen to the difference between Stevie Wonder and James Taylor, and you’ll know why Andre is the better dancer between the two of us!). What might be an intimidating conversation on the fraught topic of racism anywhere else was softened by our friendship and those long bright hours in a dusty Kia, the road thrumming beneath us. “I don’t get to take a break from this,” he told me one afternoon, as we pulled away from a gas station where he was followed by the security guard. “I was born into a world where my skin has a certain meaning socially, and I have no choice in that matter. I can’t just not be Black,” he said. “Like you can’t change the perception of those 30 people in that all-white gas station,” I said. “Exactly, and that’s the thing people miss. It’s not just about how you identify yourself, right? There’s also something about being identified.” And that security guard identified my friend as a threat, I think to myself, staring at my own white hands on the steering wheel. 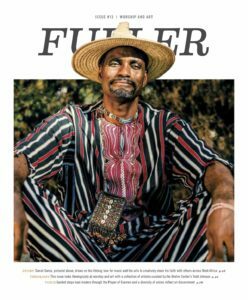 Traveling from family to Fuller staff and alumni and their own networks of friends along the way, we brought these conversations with us, grateful for the hospitality that could contain the stories we carried. “The cloud of witnesses isn’t just people who’ve passed—it’s those of us who are living, too,” Andre said after our first day. 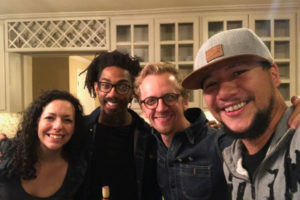 “We’re part of that cloud of witnesses, and I feel like we’re experiencing the kind of hospitality that God would want us to practice.” I still think about that trip and the hospitality that made it possible, how for one week that cloud carried us across the country—and how it still carries us now. Monday. When we arrived in Tempe, Arizona, our first night, Tim and Katie Hoiland ushered us to a warm meal waiting on the dining room table. We were online friends first, and I quickly learned in person that Tim wasn’t an alum as I’d thought— but an “honorary Mouwist” and close friend to a number of PhD students who had studied under the president emeritus. Naturally, as a result, our dinner conversation on racism and politics was one of “convicted civility,” and it easily drifted into the living room, only interrupted by the joyful slobber of their Boston Terrier Gus (short for Augustine, of course). When we left the next morning, Andre told me, “It’s not just that we are welcome here, but our whole story is welcome here. We can bring the exact experience we’re taking across the country, and it’s welcome in their home,” he said. As we reached out to the Fuller community on social media for other hosts, we could feel that same welcome spilling out before us. Tuesday. 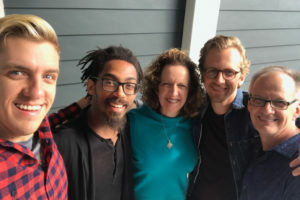 We had no place to stay in Albuquerque, but thanks to Will Stoller-Lee, director of Fuller Colorado, we connected with Casey Church (DMiss ’13) who knew indigenous families in the area. 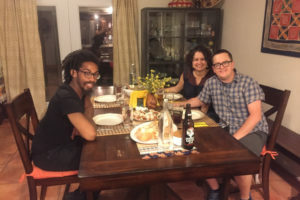 After texting back and forth in the afternoon, we had the address of our host family for the night: friends of friends Jon and Tawanna Lansa, two buoyant Hopi Christians with a home filled with heirlooms of their ancestors. When we arrived, we marveled at their kindness to two strangers and the friendships that delivered us to their front door. Over tea, Andre asked them about reconciling their faith with a history of oppression that often came at the hands of Christians. “I think a lot about the displacement of indigenous people in this country so that ‘America’ could be built. I think about people who are living the consequences of that history,” Andre said. Tawanna told me that when Jon had a motorcycle accident that damaged his memory, she had to restore it one heirloom and photo at a time. “It was a long road—with so much history, where do you start?” Andre and I were asking the same question about our country’s long history of racism, and as we listened to one another around the table, I wondered if we were learning how to answer. Wednesday. 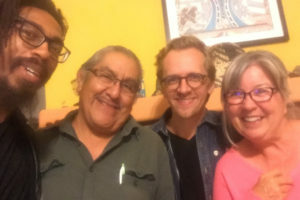 On the way out of the city, we met Casey to thank him for his help and, chatting over coffee, heard about his work on the complexities of Christian faith in indigenous contexts—and how Fuller professors Roberta King and Sherwood Lingenfelter encouraged him as he integrated his Potawatomi heritage with Christian ministry. Thursday. 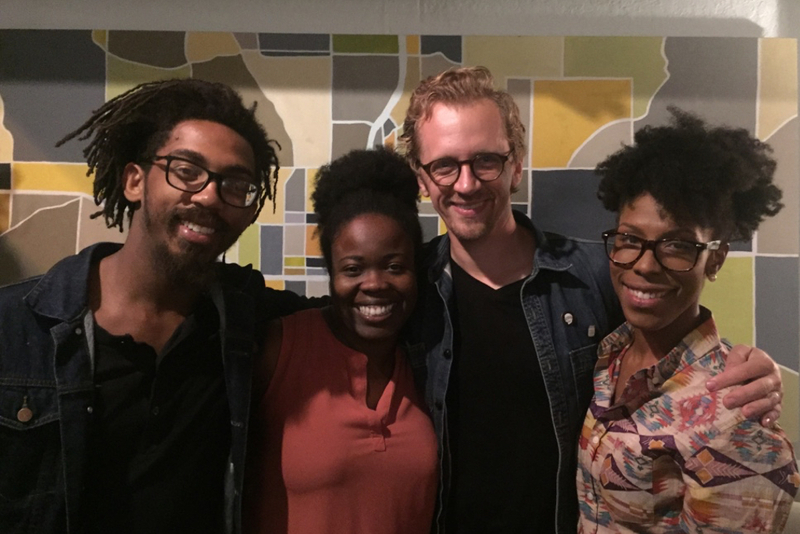 On the way to Nashville we turned our car conversations into a live video feed, inviting the wider Fuller community to reflect with us as we discussed our different experiences in gas stations along the way, and how conversations about race shifted when we approached them through close proximity and friendship. As comments came in from students and alumni from around the nation, it was easy to sense that larger community beyond the edges of our single trip. We arrived at my parents’ home outside of Nashville with another warm meal waiting for us—this time with my family, members of their church, and alum Gary Mumme all gathering to hear us play songs Andre had written. “When I was a kid, I’d clean the house while my mom was away, turn a desk lamp into a spotlight, and surprise her with a show when she got home,” Andre shared. “They were family concerts, and tonight feels exactly like that.” When the songs were over, we talked in the space the songs created, inviting the gathering into the same ongoing conversation Andre and I were having on the road. Friday. When we arrived at Andre’s childhood home in Atlanta, we shared Jamaican patties, music, and memories of Andre’s late mother, Mackie. “This is my first time to come home without her being here,” said Andre, and her absence filled the rooms. His sister gave me a tour of the house, including a living room with walls covered in degrees and awards. “Almost every Black friend I know has a living room where no one is allowed to actually live,” Andre told me, laughing. 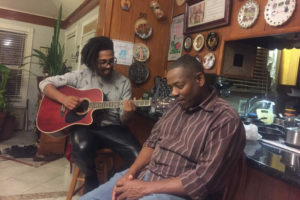 “I don’t have my college degrees—my parents have my college degrees!” After Andre sang songs in the living room, we drove on to Columbia, South Carolina, grateful for Andre’s childhood friend Michelle, who stayed up until the early morning to welcome us. Saturday. On our last day we decided to swing by Savannah, Georgia, stopping to see Andre’s childhood friends Isaac and Tatiana. Crossing over Martin Luther King Jr. Blvd., Andre reminded me that the town used to be a port city for the slave trade, a hard fact to ignore as we walked into a coffee shop inside a converted plantation home. Isaac and Tatiana told us that when a local church found a record book in the basement with an unnamed enslaved man listed as a tithe to the church, they had to decide whether or not they were going to bring the records up to the sanctuary. I wondered if that church had the courage to bring their painful history into the light—and if we had that courage, too. It’s a question that can only come from humility and a desire to know the beloved community—that’s what we experienced all along our trip, with each opened door and each set table. Nicole took us to a local Cuban restaurant later that night. I looked around and thought of all the lives we witnessed through the week, imagining them around a single table. I took another bite of plantains and listened, their voices drifting into the humid air. 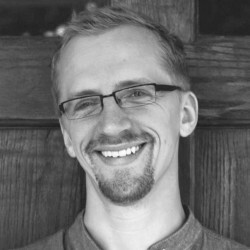 Michael [MAT '12] is the online editor for FULLER studio, and he writes and lectures on poetry, culture, and spirituality. 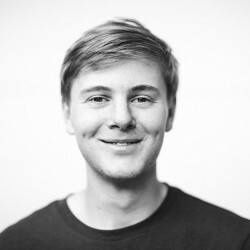 Brandon (MAT ’16) is an art director at Caltech in Pasadena, California. Find more of his work at brandonjhook.com.